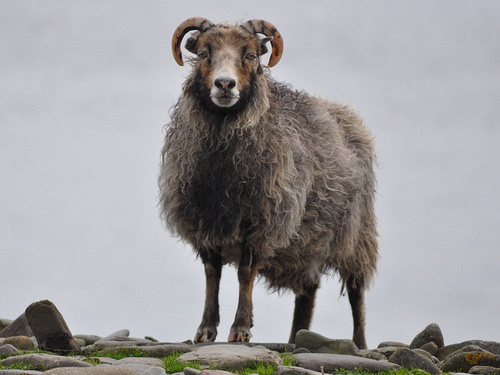 North Ronaldsay are a small rare breed of sheep of the Northern short-tailed group of breeds. They have remained virtually unchanged. Their most unique feature is their diet, which consists mostly of seaweed. Mature ewes rarely exceed 25 kg (55 lbs); rams about 30 to 35 kg (66-77 lbs.). They are primitive and fine-boned and have evolved in a specialized seashore environment on their native island.